I was invited to read at The Pygmalion Festival in Urbana-Champaign, IL later this month (9/26). I'm really excited about this. Now in its 11th year, The Pygmalion Festival features bands, writers, artists, and techies all showcasing their wares. I'm thrilled to be part of the literary lineup and Lit Crawl along with Brian Evenson, Aaron Burch, Elena Passarello, Colin Winnette, Jennine Capó Crucetand, and a bunch of other really awesome authors. 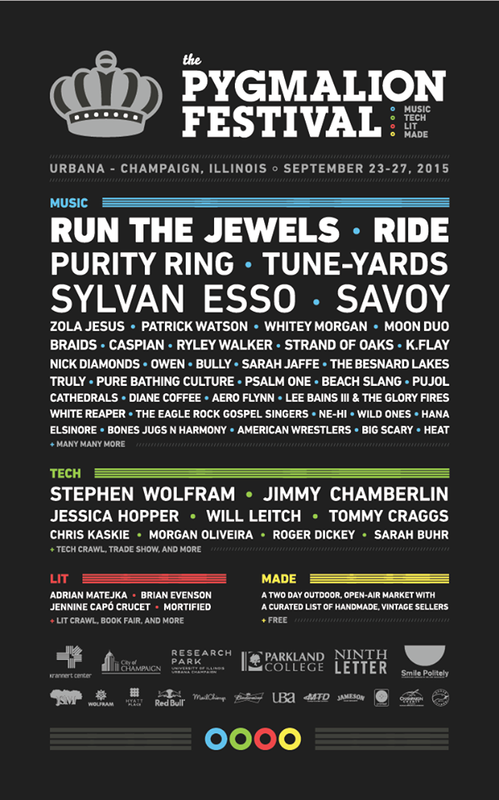 If you're in the Midwest later this month you should come to this festival. There is sure to be great music, readings, art, and tech discussions. I hope to see you there! More info here.